Laura Fitton is a Boston entrepreneur and social marketing executive, known to many early Twitter users as the co-author of Twitter for Dummies. She also is now the sixth woman to accuse venture capitalist Shervin Pishevar of sexual misconduct, and the first to do so on the record, alleging that Pishevar forcibly kissed her and engaged in other inappropriate behavior after a charity event six years ago. Pishevar on Tuesday took a leave of absence from his venture capital firm, from a company where he serves as executive chairman, and from several boards of directors. Why she's speaking out: Fitton says she was stunned and disheartened by Pishevar's denial of the initial five allegations and, in particular, his claim to be "the victim of an organized smear campaign." Moreover, several of the other women's claims mirrored parts of her alleged experience, suggesting a pattern of behavior. "I was naive to feel that confronting him in 2011 was enough to protect other women. It has been devastating to learn that he allegedly went on to hurt others, and, if so, it's devastating that he hasn't yet found the courage to own his mistakes, apologize, and start making amends." Pishevar "unequivocally and categorically denies any improper behavior toward Ms. Fitton," via a statement from his attorney, which also claims that the pair's continued digital correspondence in subsequent years — which Axios has reviewed — is exculpatory. The two of them interacted once or twice during the main event, and then both attended a VIP after party at the Gansevoort Park Avenue NYC hotel that went until the wee hours of the morning. Several attendees, including Fitton and Pishevar, complained about the relative lack of food, and Pishevar told Fitton that a group of people were going to his room later to order room service. She said she was in, and continued to socialize with others. Axios has seen photographs of both Fitton and Pishevar at the event. Pishevar waved her over as the party began to wind down and, as they arrived at the hotel elevator bank, she realized that the two of them were alone. He said the others were on their way. When they got into the elevator, Fitton says that he "grabbed me and aggressively deep kissed me. I pushed him away by both shoulders, said 'no' and 'stop,' and pointed out that he was married. When they arrived at his floor, Fitton voluntarily went to his room. "I know how stupid it sounds, but I was starving," she says. "I thought he had gotten the message in the elevator, and really did expect the others to come any minute." The others didn't arrive. As Fitton and Pishevar waited for the food to arrive, she says that Pishevar kept up his advances. She says he "asked for quite a bit more than kissing," and eventually agreed to let him hold her (fully clothed) on top of the bed. He kept talking in the third-person ("Shervy") about his marriage troubles and needs. Once the food arrived, they ate and Fitton left. She says that, while they ate, he asked why she wasn't making eye contact. "He was oblivious. I ate fast." The fundraiser was on a Monday. Fitton tried to reach Pishevar that Wednesday and the two spoke by phone on Thursday. She says she told him that he had been inappropriate not only in a general sense, but also because he was a VC and she was a founder. 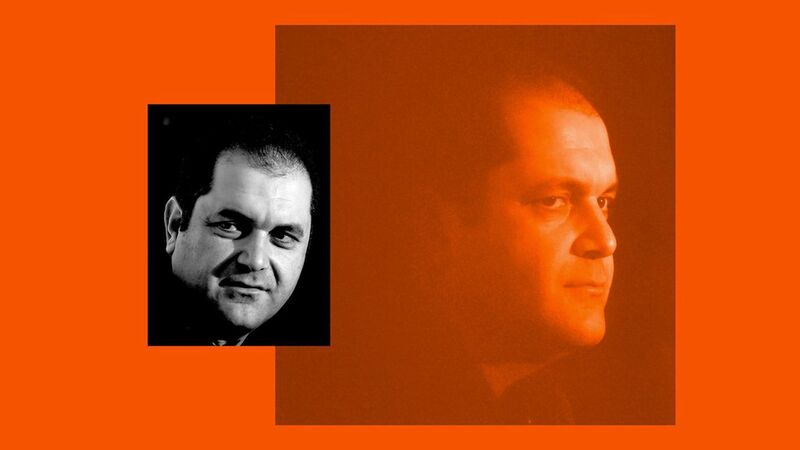 Pishevar allegedly rejected that characterization of their dynamic, saying he felt the two shared a non-professional bond because they had both been single-parent entrepreneurs. As the call ended, Pishevar allegedly told Fitton to let him know if she needed help getting a job in the future. "Just want to say thank you for being real with me. I deeply appreciate that. Let's grab a proper breakfast or lunch and share inspiration and advice together. You're an awesome person." Fitton says she told a fellow Boston entrepreneur and friend about the incident within days of it occurring, which the entrepreneur confirms to Axios. In fact, it was that entrepreneur (not Fitton) who originally approached Axios, following a November story about Pishevar having been arrested in London for sexual assault (he was never charged with a crime, and denies the allegation). She also acknowledges having kept in contact with Pishevar in the subsequent years, including requests that he speak at work events she was organizing. Fitton also tagged Pishevar in a few tweets, including one that included a group photo from the December 2011 fundraiser, and sent a Facebook message in 2015 after she had just seen Pishevar give what she deemed to be an inspiring speech. "I wanted you to know I'm sorry I had such a brittle response to you at charity ball years ago. You reached out to me in a way we both badly needed at the time and I reacted with fear and shame. I regret that. You are really, really special." "My entire career is dependent on my professional network," Fitton explains to Axios. "He wasn't just a contact I wanted to keep, but maybe my most valuable contact. He was like a golden boy because he seemed to be connected to every hot startup in Silicon Valley. So I didn't want to risk that when I was in the room with him, nor years later when I apologized... I felt it might soothe his ego a bit, and I'm a pretty obsequious person... [The Facebook message and a similar text message] makes it sound like I needed him in some sort of sexual way, but that's not at all what I meant and I know it looks terrible. It was about how he was talking to me that night about his marriage falling apart, and how I understood because I had gotten divorced and had basically been single since. We both had separate but parallel awfulness in our lives, but that doesn't mean I wanted what happened to happen." Pishevar's attorney argues that regular and cordial communications between Fitton and Pishevar since the 2011 incident are evidence in favor of his denial, although so far has not responded to a request from Axios as to whether he denies having kissed her in the elevator nor the requests that she join him on the bed. Context: Pishevar has denied all prior allegations of sexual harassment and assault. Last month he filed a defamation lawsuit against a political opposition research firm, which yesterday filed a legal reply in which it denied the allegations. Axios also has learned that Pishevar's attorney has sent "document hold requests" to a number of people, which are an interim step litigators often take between filing suit and discovery (when subpoenas for relevant correspondence can be served).